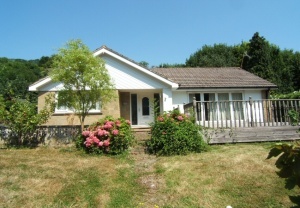 This detached bungalow enjoys an elevated position on a large plot and is situated in a sought after residential road. The property is vacant and well arranged with an open plan kitchen and dining room which flows into the 憀� shaped living room. 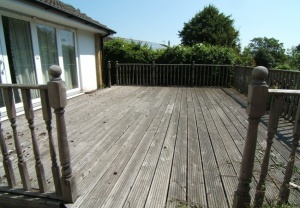 From here four folding patio doors lead out to the large wooden deck with views across to the woodland opposite. There is a good sized garden and single garage. There are some very pretty walks just across from the property and you抣l see red squirrels and a wealth of wild birds, flora and fauna. 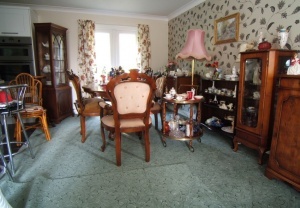 ENTRANCE HALL: 17� x 5�br />Doors to all rooms, loft access, radiator. Cloaks cupboard with fusebox, Cupboard with central heating boiler and further cupboard with hot water tank. LIVING - DINING ROOM: 慙� shaped, longest parts being 23�x 20�br />Tri-folding patio doors plus further glazed door to front wooden deck which really opens the living space into the garden and woodlands beyond. Further large windows to side. Radiator. 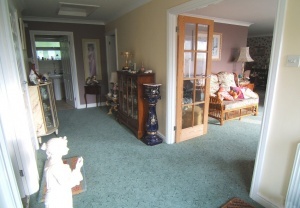 Open plan to dining area with double patio doors to rear garden. Radiator. Breakfast bar to kitchen. Window to rear garden. A fitted kitchen with a range of base and wall high gloss white units, with some glazed. Black granite style work tops and tiled splash-backs. Ceramic tiled floor. One and a half bowl stainless steel sink and drainer with swan neck mixer tap. Built-in electric hob with stainless steel extractor hood above. Built-in eye level electric oven and grill. Built-in fridge and freezer, built-in washing machine. 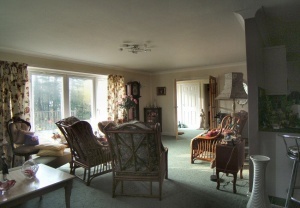 Open plan to dining room. 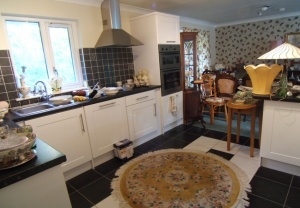 BEDROOM ONE: 15� x 11�br />Large double room with window to front enjoying views of the woodland opposite. Fitted cupboards, radiator. BEDROOM TWO: 10�x 10�br />Window to rear garden, radiator. 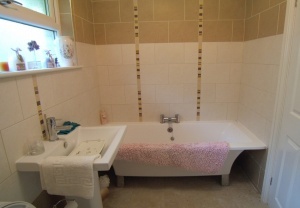 BATHROOM: 9�x 5�br />Frosted window to rear. Fully tiled walls and floor. A white bathroom suite with corner shower with curved glass sliding doors, panel type bath with centrally mounted mixer tap. 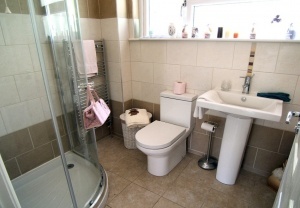 Pedestal wash hand basin, low level w.c. Chrome ladder style heated towel rail, extractor fan. There is a single garage at road level and steps lead up through the front lawned garden and to the front door with a wooden deck to the side. 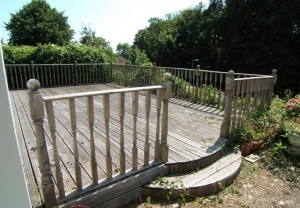 The deck measures 22Ft and has wood balustrade. 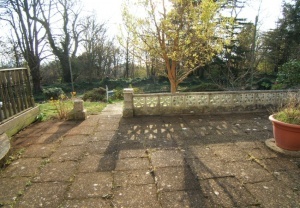 Around the back is a paved area of secluded garden. 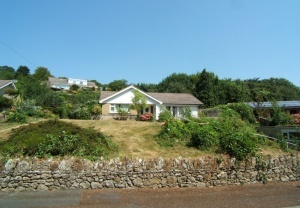 The bungalow enjoys views of pretty woodland opposite and has beautiful walks all around the area. 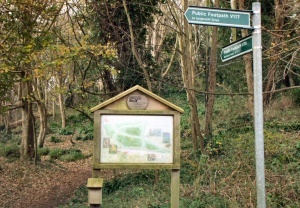 One of these is the track of the railway line which used to run between Niton and Ventnor stations until the 1960s.